Wedding unity sand ceremonies, similar to unity candle ceremonies have increased in popularity. The sand ceremony symbolises the couple coming together in marriage. It is a popular alternative to a unity candle ceremony, particularly suited to outdoor or beach ceremonies where wind may have made a candle ceremony more difficult. The resulting container of sand also makes a lovely keepsake for the newly married couple. After the sand is poured in the container, the sands can never be separated which shows the interconnection that the newly married couple has. There are no hard and fast rules as to when the sand unity ceremony takes place, but it often takes place after the bride and groom say their vows. A sand ceremony involves the bride and groom pouring sand from their own individual glass containers into a larger glass container placed in the middle of the table. The couple take turns pouring the sand from their individual containers so the centre container shows a layered effect with the sand. This can be accompanied by a reading or poem. The separate colours in the layers show that the bride and groom are unique and individual. The couple then also pour some sand at the same time to symbolise their unity in marriage. Once completed, the centre vase is closed and becomes a lovely decorative keepsake for the couple. There are many variations to the sand unity ceremony depending on the individual couple. One popular variation to the sand ceremony involves including children in the process, particularly useful for blended family weddings. Each child also has a vase of coloured sand which they pour in to the centre container symbolising the two families coming together as one. You can vary the sand unity ceremony to suit yourself and your ceremony. You can choose sand colours which suit your wedding decorations and style. The centre container can be and size or shape, it can be a vase or even a photo frame. Your ceremony can involve bride and groom only, or the couple’s children or even other family members such as parents. A neutral coloured sand can also be poured to represent God. 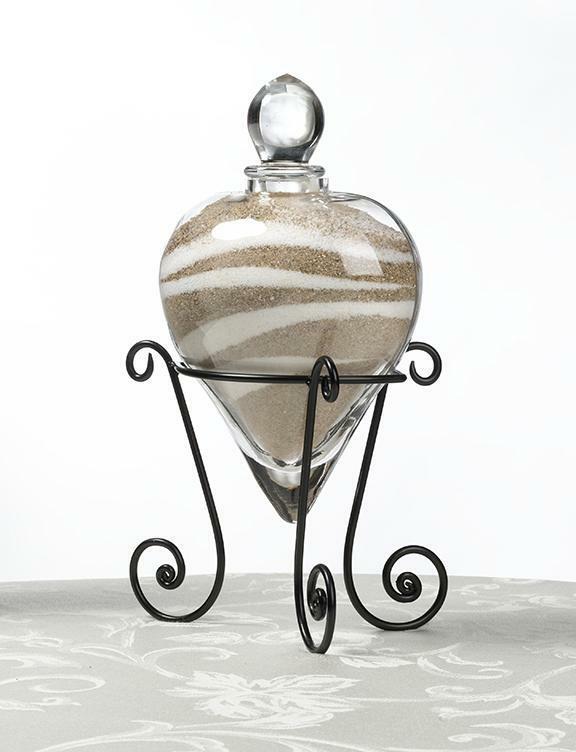 See our store for our variations of vases and photo frames to use for storing your sand. We stock a variety of sand colours to suit your wedding colour scheme.